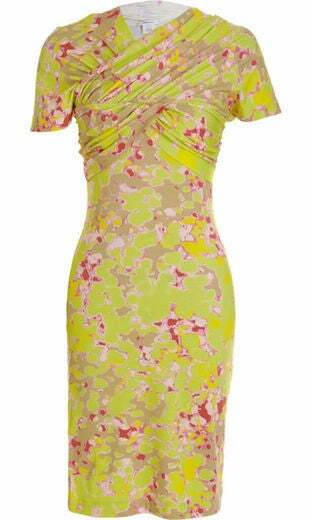 Floral print dress, Carven, $129, barneyswarehouse.com. 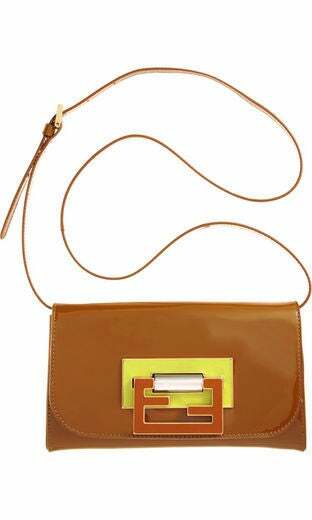 “Fan Di” clutch, Fendi, $389, barneyswarehouse.com. Swirl plattform sandal, Walter Steiger, $429, barneyswarehouse.com. 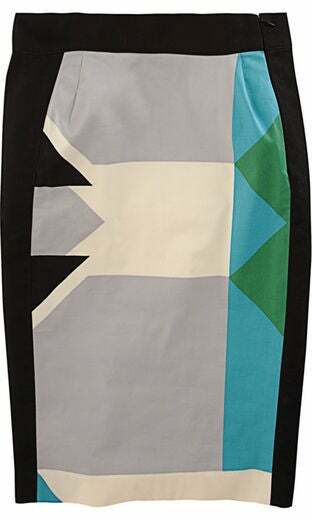 Pencil skirt, 10 Crosby, $129, barneyswarehouse.com. Cutout sandal, Nina Ricci, $319, barneyswarehouse.com. 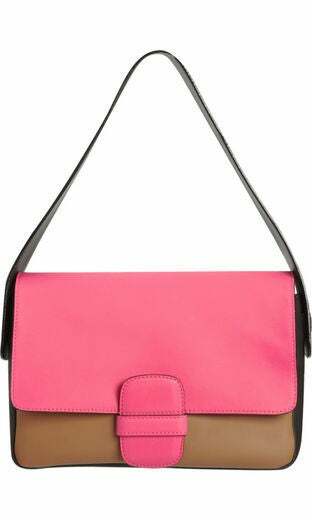 Colorblock Violet bag, Marc Jacobs, $799, barneyswarehouse.com. Basket weave wedge, Marc by Marc Jacobs, $99, barneyswarehouse.com.